Centering Prayer — The Contemplative Life. Centering Prayer is a method of silent prayer based on an anonymous 14th Century text called The Cloud of Unknowing, and has roots even further back in the writings of the Desert Fathers of Egyptian Monasticism. It has recently been popularized by the Trappist monk Thomas Keating. 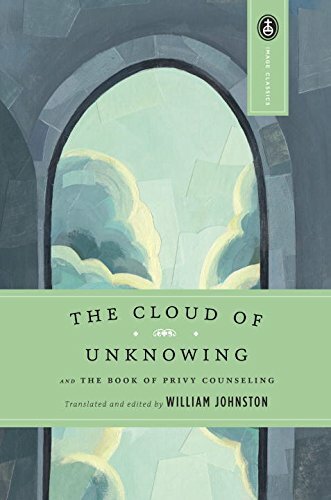 In The Cloud of Unknowing, the spiritual advisor describes a type of contemplative prayer in which one simply rests in the presence of God without an agenda. He believes that this "contemplative work of love" is the way to a changed spirit and character – and thereby the spiritual fruits of love, joy, and peace. By practicing Centering Prayer, one hopes to open themselves fully to the presence and action of God, experiencing authentic inner transformation in the process. When practicing Centering Prayer, the goal is to calm the mind so that one can simply enter and remain in the presence of God, who is experienced within, at the deepest level of one's being. The method is designed to help take the practitioner to this deeper level of awareness, moving beyond the distracting and often chaotic stream of surface-level thoughts which are experienced in day-to-day life. In its deepest form, the prayer is apophatic, having no "content" and making no use of words, symbols, images, or ideas. The practice is often conceptualized as "resting in God." The method of Centering Prayer is unique when compared to most meditation techniques in that instead of working with the power of attention, the mind’s ability to focus intensely on one object, Centering Prayer works with intention – our willingness or desire to be open to the presence of God. 3. When you become aware of thoughts, return ever-so-gently to the sacred word. Thus one simply sits, introduces their sacred word, eventually gets caught up in their thoughts, and then uses the word to release each thought, returning again and again to an openness to God. By this process the mind quiets, and eventually becomes stilled. What happens in that stillness is open to a variety of interpretations. Different authors have different conceptual models for understanding what happens during Centering Prayer. One of the most famous models is Thomas Keating's Divine Therapy. Keating's understanding of the Divine Therapy begins with the assumption that we all come to the practice with some form of emotional trauma in our past. For Keating, these traumas are anything that have threatened or wounded us in areas of our core psychological needs. As we experience wounding in these areas (for Keating, our psychological needs are summarized in the categories of power/control, esteem/affection, and security/survival), we develop attachments to people, places, and situations that bring us comfort, and aversions to people, places, and situations that lead to discomfort in the light of these wounds. This collection of attachments and aversions results in what Keating calls "emotional programs for happiness." A young child overhears his father saying, "I wish he was more like his brother," which attacks his core psychological need for esteem/affection. The incident then becomes buried in the boy's subconscious. He may not even remember the incident in adulthood, but, on a subconscious level, part of him continues to want to imitate his brother to achieve his father's affection. The emotional program for happiness of "needing to be like my brother" becomes a deep part of who he is. As a result, he develops attachments to things that make him more like his brother, and aversions to things that make him different. These attachments and aversions, at least in part, continue to drive his behavior throughout life. On this model, each human being has a host of emotional programs for happiness running at the same time, each based on our unique traumas. These programs create anxieties as we interact with the world, and may even conflict with each other. 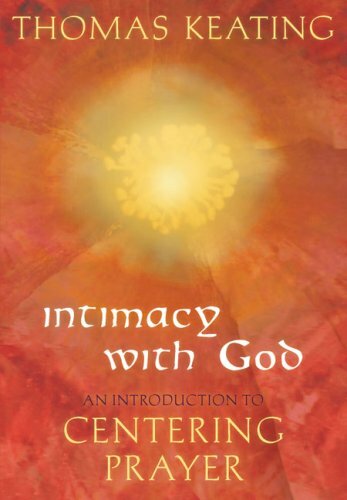 When we enter into deep states of meditation through Centering Prayer, Keating believes that these traumas are released from the subconscious and ultimately healed by God. He calls this process the Archaeological Dig. Thus, by the ongoing practice of Centering Prayer, one finds emotional healing as core needs become fulfilled in the presence of God. Keating's Divine Therapy is one of several ways to conceptualize the effects of Centering Prayer. The translation of traditional "spiritual development language" into psychological terms makes this model popular and accessible to a wide audience. 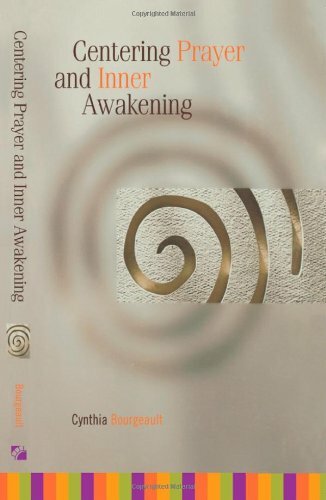 Others may interpret Centering Prayer as leading the practitioner through the traditional purgative, illuminative, and unitive spiritual stages. Still others may view the technique from agnostic or even atheist viewpoints and refrain from using any theological language at all. As with all contemplative practices, any intellectual conceptualizations are tentative and one's understanding of the prayer may change over time. 1. Control of the Mind: During the prayer time, one learns to recognize thought patterns and let them go, always coming back to God using the sacred word. Instead of being carried away by thought chains and ruminations, the ability to choose thoughts is developed and more control is gained over the mind. This ability continues in the course of day to day life. 2. Distance Between Core Identity and Thoughts: When developing the practice of recognizing thoughts and letting them go, a natural distance opens between "You" and your thoughts. You are not your thoughts. You have thoughts. This realization leads to an expanded sense of self. 3. Less Worry and Anxiety: This expanded sense of self and increasing ability to control the mind, coupled with the feeling of an inner-calm during the prayer, generally leads to less worry and anxiety in day to day life. During the prayer, one experiences that "everything is okay" despite outward circumstances. This feeling can continue, to varying degrees, in day-to-day activities. This effect, however, can come and go. Periods of intense inner turmoil, conceivably the result of what Keating calls "the unloading of the subconscious" as part of the Divine Therapy, are also often part of the Path of Centering Prayer. 4. Non-Attachment: Because core personal identity is no longer identified completely with experienced thoughts, one can become less attached to the content of those thoughts. Personal opinions, desires, and cravings can be held more loosely and can lose some of their force or power. Felt personal needs and desires can be experienced as "lighter." 5. Present Moment Awareness: Practicing the skill of returning to the most important thing (God) during prayer naturally leads to returning to the most important thing (the present moment) in daily life. Being trapped in one's thoughts a little less leads to living in the moment a little more. The natural effects of Centering Prayer overlap significantly with other forms of meditation including TM, Zazen, and Vipassana. “This is what you are to do: lift your heart up to the Lord, with a gentle stirring of love desiring him for his own sake and not for his gifts. Center all your attention and desire on him and let this be the sole concern of your mind and heart. Do all in your power to forget everything else, keeping your thoughts and desires free from any involvement with any of God’s creatures or their affairs whether in general or particular. Perhaps this will seem like an irresponsible attitude, but I tell you, let them all be; pay no attention to them. What I am describing here is the contemplative work of the spirit. It is this which gives God the greatest delight. For when you fix your love on him, forgetting all else, the saints and angels rejoice and hasten to assist you in every way – though the devils will rage and ceaselessly conspire to thwart you. Your fellow men are marvelously enriched by this work of yours, even if you may not fully understand how; the souls in purgatory are touched, for their suffering is eased by the effects of this work; and, of course, your own spirit is purified and strengthened by this contemplative work more than by all others put together. Yet for all this, when God’s grace arouses you to enthusiasm, it becomes the lightest sort of work there is and one most willingly done. Without his grace, however, it is very difficult and almost, I should say, quite beyond you. The work of love not only heals the roots of sin, but nurtures practical goodness. When it is authentic you will be sensitive to every need and respond with a generosity unspoiled by selfish intent. Anything you attempt to do without this love will certainly be imperfect, for it is sure to be marred by ulterior motives. Be Passive: "Let That Mysterious Grace Move in Your Spirit"
“Beware of pride; it is blasphemy against God in his gifts and it makes the sinner bold. If you were really humble you would understand what I am trying to say. Contemplative prayer is God’s gift, wholly gratuitous. No one can earn it. It is in the nature of this gift that one who receives it receives also the aptitude for it. No one can have the aptitude without the gift itself. The aptitude for this work is one with the work; they are identical. He who experiences God working in the depths of his spirit has the aptitude for contemplation and no one else. For without God’s grace a person would be so completely insensitive to the reality of contemplative prayer that he would be unable to desire or long for it. You possess it to the extent that you will and desire to possess it, no more no less. But you will never desire to possess it until that which is ineffable and unknowable moves you to desire the ineffable and unknowable. Do not be curious to know more, I beg you. Only become increasingly faithful to this work until it becomes your whole life.